It is not an easy task to handle a relationship. Turning from ‘me’ to ‘we’ is really challenging for people. But we should always remember that we should forget about ourselves. We should maintain our own individuality and try not to lose your self. There are some ways which might help you in a relationship without losing yourself. We should honor our independence and identity though we are in a relationship. We should maintain our hobbies, lifestyles, spending times with our friends and family and other independent aspects of our life so that we can care of ourselves without losing of ourselves while maintaining a relationship. It is very important to maintain a healthy relationship that both of you are independent and are able to respect each other. You should focus on what is important in your life and what you need in life so that you feel happy. We need to maintain our friendship that they are the good supporter for us. And every relationship has a different role in our life and that one you need to make understand to your partner. We can only lose our self if we don’t keep our self safe. We should remember the two ingredients which is necessary if we are not going to be absorbed by another such as self-respect and self-value. We need to treasure our self from an intimate relationship so that we never lose our identity. Hence it is very much necessary in a relationship that we should establish a clear boundaries that our partner will honor in order to be worthy of us. It has been seen that most of the time people are not aware that they are giving themselves away when they are starting a new relationship. 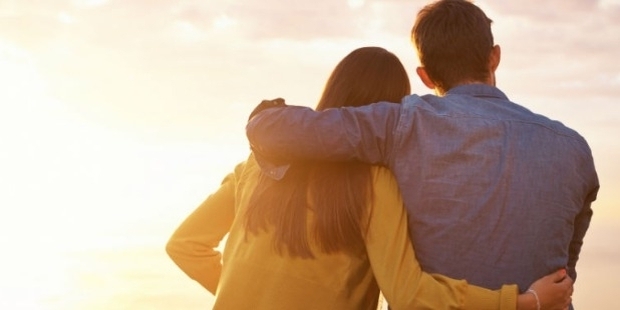 There are many wonderful attributes in a intimate relationship but still ultimately it fails sometimes because either your partner might not established what he or she will ultimately need or be able to offer as the mature relationship. It is very much important in a relationship that we need to have a strong sense because it will help not lose yourself in a relationship. We should be make ourselves happy and should not depend on others to make us happy. It is true that our fear that leads to a dependency which leads to loss of oneself in a relationship. We will lose ourselves usually over times as when we try to concede our own desires and needs to make happy the other person. If it continues for a long period of time, then it creates a greater imbalance and it is more difficult to fix. We cannot expect that the other person to be aware that you are losing yourself from the relationship. We should remember that relationship exist only on balance, understanding growth and trust. If you have a strong relationship, in that case both of you should keep yourself open and self awareness constant so that you don’t lose yourself. Otherwise your relationship will no longer continue if you don’t have a strong sense of yourself. To maintain a healthy relationship it is very much necessary that we don’t lose ourselves. In a relationship we need to respect each other, their values and their identity.